In a career that spans more than a quarter century, nine GRAMMY® nominations, nine No. 1 albums on Billboard’s Current Contemporary Jazz Albums chart, numerous world tours, playing for multiple presidents and a Star on the Hollywood Walk of Fame, saxophonist Dave Koz has maintained a commitment to celebrating the magic of the holiday season like few other artists of his genre or generation. Since 1997, Koz has assembled a stellar lineup and taken them on the road every December to ring in the most wonderful time of the year with audiences across the U.S. The tradition continues in 2017 as Koz celebrated a milestone anniversary with a recording that features the tour’s earliest original lineup. 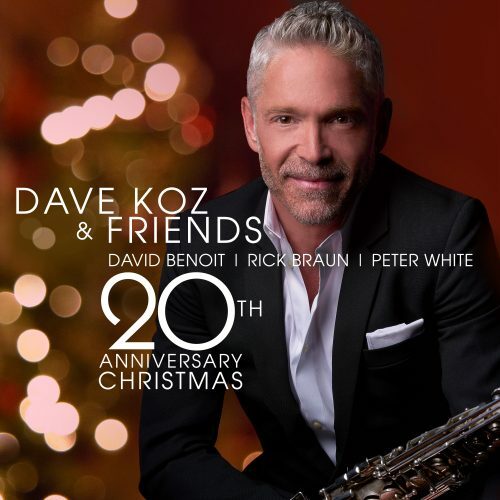 Dave Koz and Friends 20th Anniversary Christmas, released on Concord Records in 2017, reunited Koz with pianist David Benoit, trumpeter/flugelhornist Rick Braun and acoustic guitarist Peter White. Also on hand are a cadre of highly talented vocalists – Selina Albright, Javier Colon, Kenny Lattimore, Gabriel Orengo and Jeffrey Osborne – and the Lisbon, Portugal-based West European Symphony Orchestra.